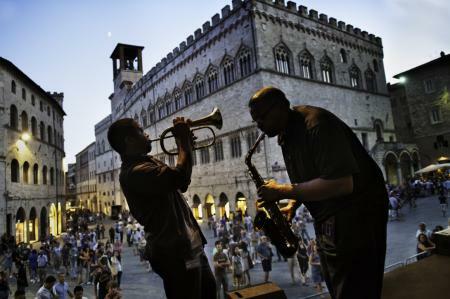 A musical itinerary that follows one of Europe’s most important festivals, namely Umbria Jazz, and which takes in some unusual places along the way. It starts with the great monuments of Rome and heads towards Viterbo, crossing a mysterious forest before reaching Perugia, the festival’s beautiful setting. Here you can enjoy concerts throughout the afternoon and into the night, but during the morning you can explore the surrounding area. We recommend trips to Gubbio, Assisi and the less well known town of Castelfidardo. On your way back to Perugia, make sure you take in Todi. Themed museums, artisans’ workshops, shops with musical instruments, not to mention amazing scenery, excellent Italian food and wine, all of which will make this an unforgettable journey. Itinerary designed in collaboratio with the prestigous Musica Jazz, the first italian magazine totally dedicated to jazz, published since 1945. In collabortation with Musica Jazz our team designed a fantastic itinerary, The first one of a collection on jouneys for people in love with this music. This is the first one of a specific collection that will focus on Music Festivals.